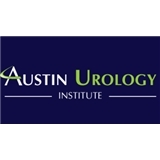 Austin Urology Institute (Cedar Park) - Book Appointment Online! Dr. Shaw is proud to introduce his patients to the Austin Urology Institute. We offer the full suite of services for prostate cancer, kidney cancer, bladder cancer, vasectomy clinics, kidney stones, enlarged prostate (BPH), urinary tract infection, overactive bladder, urinary incontinence, pelvic prolapse, and more. If surgery is ever required, Dr. Shaw also focuses on maximum results with minimum incisions. da Vinci robotic prostatectomy, laser prostate procedures, laparoscopic kidney and laparoscopic prostate surgery, laser kidney stone removal, shockwave lithotripsy, da Vinci robotic bladder surgery, and laparoscopic kidney transplant services are all offered. Proud to serve the Urology needs of Austin, Round Rock, Georgetown, Cedar Park, Steiner Ranch, Leander, Lakeway, Hutto, Buda and Bastrop.